At least 48 people have been killed in ethnic clashes in Coast Province, south-eastern Kenya, police say. 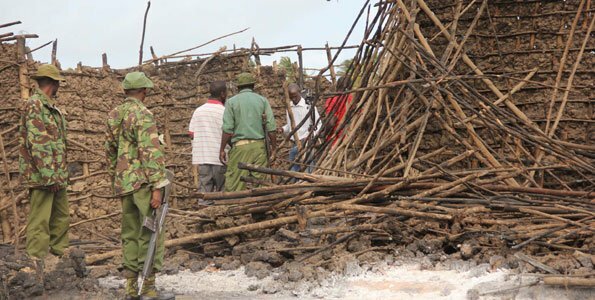 The clashes in Tana River district, Coast Province, took place late on Tuesday between the Orma and Pokomo groups, the region’s police chief said. Most of the dead were women and children, many of whom were hacked to death with machetes, he said. The clash is the worst single incident since violence rocked the country after disputed polls four years ago. Regional deputy police chief Joseph Kitur told AFP news agency that those killed were either hacked to death or burned alive when their huts were set alight. The attack is believed to have escalated from a dispute over grazing rights for cattle. The victims included 31 women, 11 children and six men, Joseph Kitur said. It is unclear whether any of the perpetrators have been arrested. Joseph Kitur said that, according to investigations, the attack had been carried out by the Pokomo on the Orma. Danson Mungatana, the lawmaker for the area, said the killings were the latest in a string of attacks and cattle raids and had been taken in retaliation for a previous incident. “There have been problems simmering for a while,” he told AFP. Violence between the two communities is often reported, but not on such a huge scale. There is long-standing enmity between the communities, who get caught up in a cycle of revenge killings over the theft of cattle and grazing and water rights. In 2001, a series of clashes between the Orma and Pokomo left at least 130 dead in the same region. The semi-arid region is one of the poorest in Kenya, with very little infrastructure or industry. The government recently created a ministry to promote development in Kenya’s arid and semi-arid areas, but there has been little improvement in peoples’ lives, our reporter adds. The violence comes as Kenya prepares for elections early next year. More than a 1,200 people were killed and 600,000 displaced in the months following the last election in 2007.